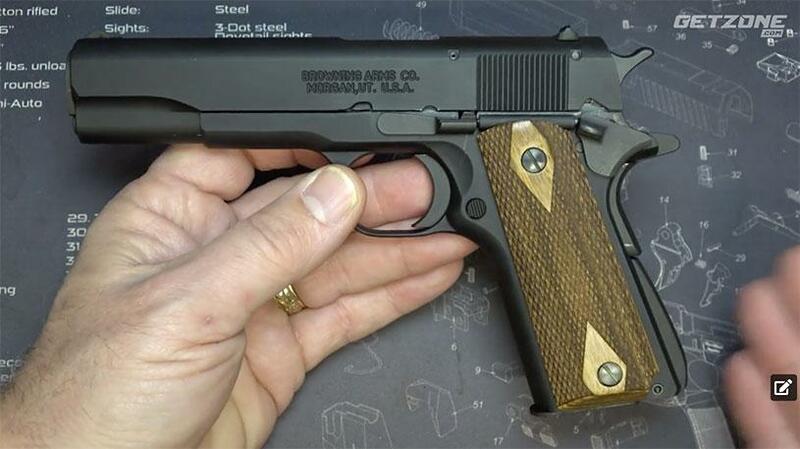 The Browning 1911-22 pistol is an 85% scaled-down 1911 in 22 LR. Same controls, yet less than half the weight. The 10-round magazine has a heat-treated steel body and coil spring for long life and smooth, reliable feeding. The polymer magazine follower and base pad offer durability with low maintenance, and the twin follower relief buttons allow for easier loading. Just like the original 1911 design, the Browning 1911-22 has both a grip safety and a manual thumb safety, making it one of the safest autoloading rimfire pistols available. Just like the original 1911 design, the Browning 1911-22 has a crisp, clean single-action trigger pull for improved shootability. If you like the feel of the trigger on the original 1911, you’ll love the trigger on the 1911-22. The slide and frame are precision machined from aircraft grade 7075 T6 alloy for light weight and long life. A steel slide block encloses the firing pin and extractor, and a durable matte black anodized finish completes the overall package. Music used by Permission from EpidemicSounds.com through the Fullscreen Network.